Step 1. 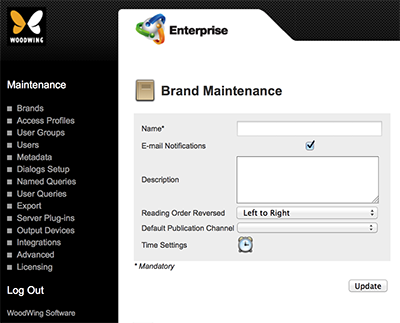 Access the Brand Maintenance page from which the Category needs to be deleted. Step 1b. 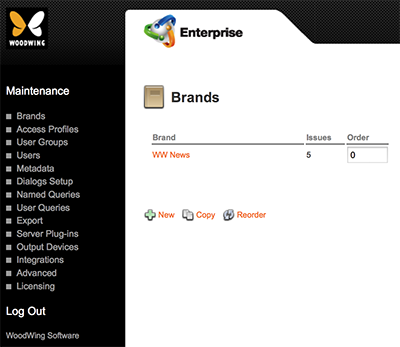 Click the name of the Brand from which the Category needs to be deleted. Step 1c. Locate the Category section. Step 2. For the Category that needs to be deleted, click the Delete icon. Scenario 1: The Category contains no assigned files. When this is the case, the Category is immediately removed from the system. Scenario 2: The Category contains assigned files. 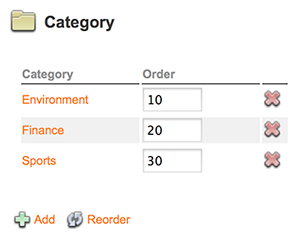 When this is the case, the Remove Category page appears, listing the total number of files that are assigned to the Category. Figure: The Remove Category page. Before the Category can be deleted, these files first need to be removed or transferred to another Category. Step 4. For each file, specify if it should be deleted from the system or moved to a different Category.